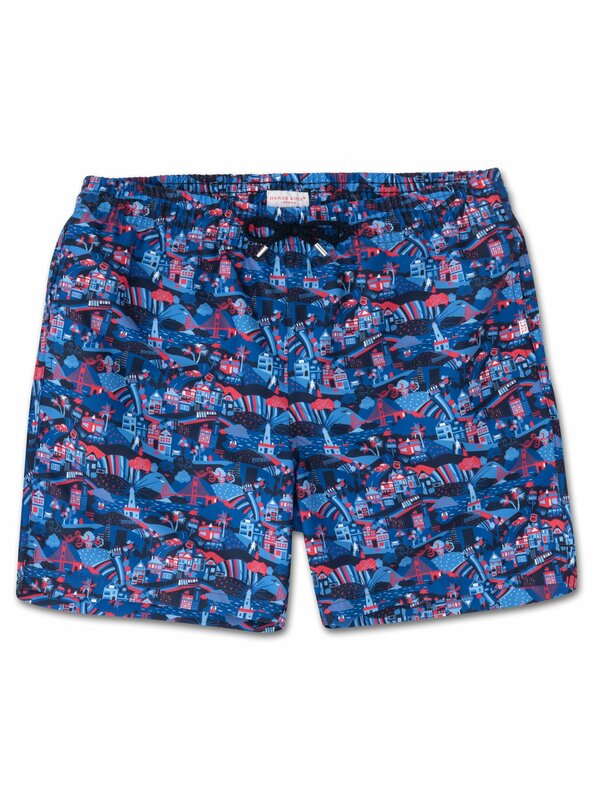 Add some colour to your swimwear with our Maui 14 men's classic fit swim shorts which feature a graphic red and blue city-scape showcasing some of California's most famous landmarks. Our classic fit swim shorts are crafted from a quick-drying polyester fabric which has been pre-washed for a supersoft finish. Beach to bar is effortless, meaning you can get on with your holiday in comfort.